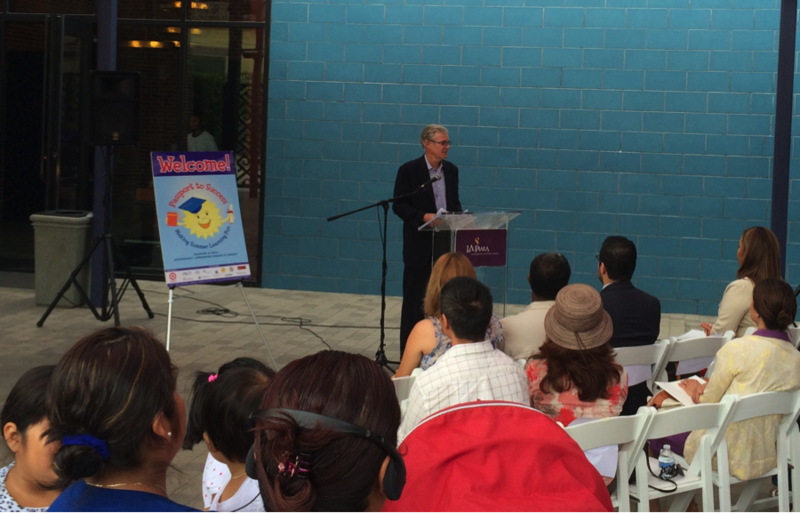 Tom Torlakson, California State Superintendent of Public Instruction, speaking at Families In Schools’ Passport to Success Day on Saturday, July 19. FIS’s Passport to Success education initiative is designed to help address what educators call the “summer slide” —the common and problematic learning loss experienced by many children over their summer vacation. The program encourages families to explore free and low-cost learning activities throughout the summertime. These activities can include visiting the public library to check out books or to use digital learning resources; learning about animals at the zoo or aquarium; and going to museums, science centers, and other cultural and educational institutions. Age of Learning has partnered with FIS to make ABCmouse.com Early Learning Academy available through Passport to Success as an effective, low-cost resource for families to combat the summer slide. How critical is the summer slide? Children who aren’t engaged in regular summer learning can lose up to one month of academic progress each year. So even if they ended the previous school year on track, they enter the new school year behind. This learning loss can be cumulative, leading to serious academic deficiencies over time. By the end of 6th grade, children who don’t practice their reading skills over the summer can be two years behind their peers. The challenge is that young children often choose more traditionally “fun” activities over learning—especially during the summer. But highly engaging learning resources can help prevent the summer slide by getting children to make learning an important part of their summer vacation. Age of Learning is looking forward to partnering with Families In Schools to support additional initiatives during the upcoming school year.